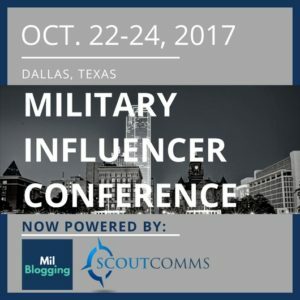 FREDERICKSBURG, VA – ScoutComms announced today the formal launch of a partnership with MilBlogging to produce military and veterans’ community-focused conferences in the coming year, starting with the Military Influencers Conference on October 22-24, 2017 in Dallas, Texas. The Military Influencers Conference will bring together a dynamic set of speakers and attendees focused on the military and veterans communities as influencers, digital entrepreneurs, business owners and leaders for two days of workshops, updates, and inspiring conversations. This first event will be hosted at the Sheraton Dallas Hotel, with lead sponsor USAA. MilBlogging is owned by retiring Army noncommissioned officer Curtez Riggs, who saw an opportunity to revive a recognized brand name in the community to help a wide range of influencers and entrepreneurs in the military and veteran communities reach a wider audience and be more successful in telling their stories and building their communities and audiences. ScoutComms is a Certified Benefit Corporation founded in 2010 by Wellman with the mission to empower veterans and military families through impactful initiatives and collaborative partnerships that lead to greater awareness of veterans’ needs. ScoutComms’ efforts have led to the expansion of veterans’ access to resources that promote their economic, physical and mental well-being. The firm’s work has resulted in a host of awards and recognitions, including being recently ranked as the nation’s sixth-fastest-growing PR firm by O’Dwyer’s PR News, a 2016 ‘Best for the World’ B Corp, and many more including two coveted Silver Anvils from the Public Relations Society of America. To learn more about ScoutComms, visit the company’s website and B Corporation profile. MilBlogging was originally founded in 2005 by a deployed servicemember seeking to share his story from the front lines. Over the years, MilBlogging became a “buzzword” and aggregator for military content creators, and a conference that sparked change across the Department of Defense. In early 2016, Curtez Riggs, a transitioning soldier, acquired the business and embarked on a mission to empower digital entrepreneurs, veteran business owners and other members of their community to grow their business, expand their digital reach and ultimately impact their community. 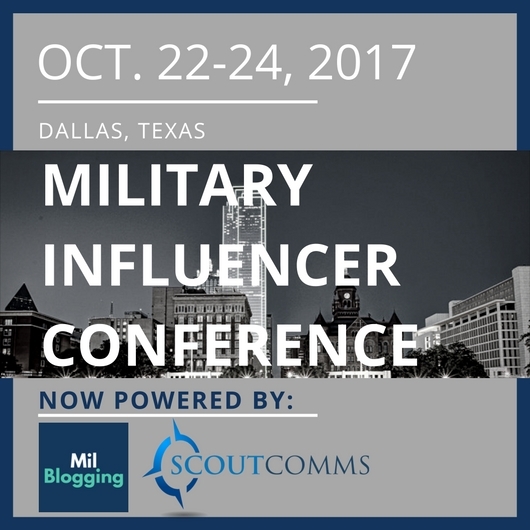 The Military Influencers Conference will be the first organized event under the new MilBlogging umbrella. Learn more at www.milblogging.com.